The City of Tacoma is now accepting Tacoma Artists Initiative Program (TAIP) funding applications from eligible Tacoma artists who wish to create new artwork in any discipline and present that work through a free public component. Applications must be submitted online by 11:59 p.m. on Jan. 21, 2019. The Tacoma Arts Commission has allocated up to $65,000 for TAIP funding, and each selected artist will be awarded $2,500. Funding for TAIP is determined through a competitive application process. 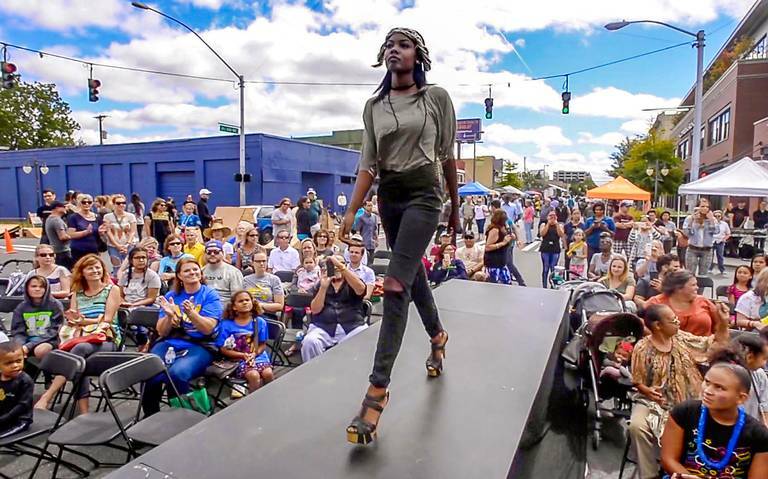 A panel comprised of Tacoma Arts Commission members, community members and past TAIP awardees will review applications and make funding recommendations. Those recommendations will go to the Tacoma Arts Commission for approval. All projects selected for TAIP funding must be completed by Dec. 31, 2020. Eligibility extends to artists who are residents of Tacoma, practicing artists who are dedicated to producing artwork on a regular basis, are at least 18 years of age, and not a full-time undergraduate or graduate student in an arts-related degree program. Artists who have received TAIP funding between 2015 and 2018 are not eligible to apply. Please see the TAIP guidelines and application instructions for full details. Applicants are encouraged to attend a free workshop which explains and addresses questions about the application and funding process on Dec. 13, 2018, from 5:30-7 p.m., at the Tacoma Municipal Building, 747 Market Street, Room 243. Ballet Folklorico troupe at Roosevelt Elementary. Photo courtesy of Broadway Center for the Performing Arts. 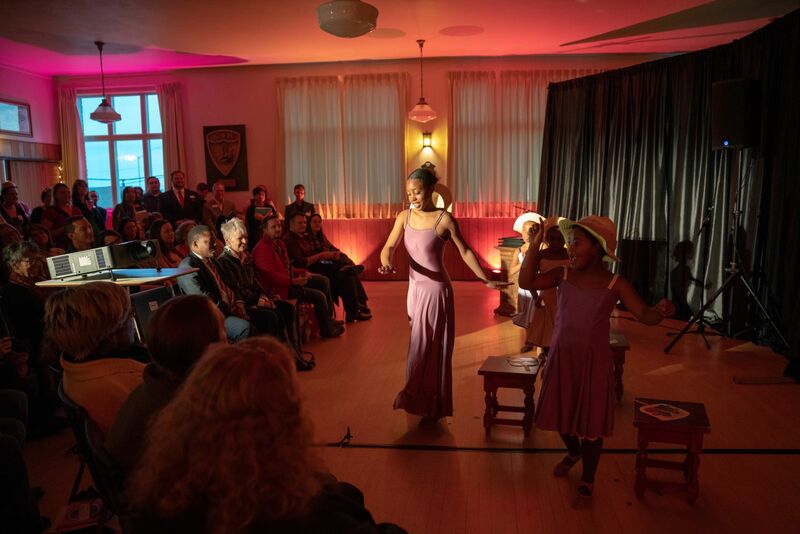 Will your organization or group be producing publicly accessible arts programming within Tacoma city limits in 2019? If so, you should take a look at our Arts Projects funding program. Arts Projects funding ranges from $1,000 to $5,000, and supports community projects that focus on the arts. Applications are due by Monday, November 5, 11:59 pm. 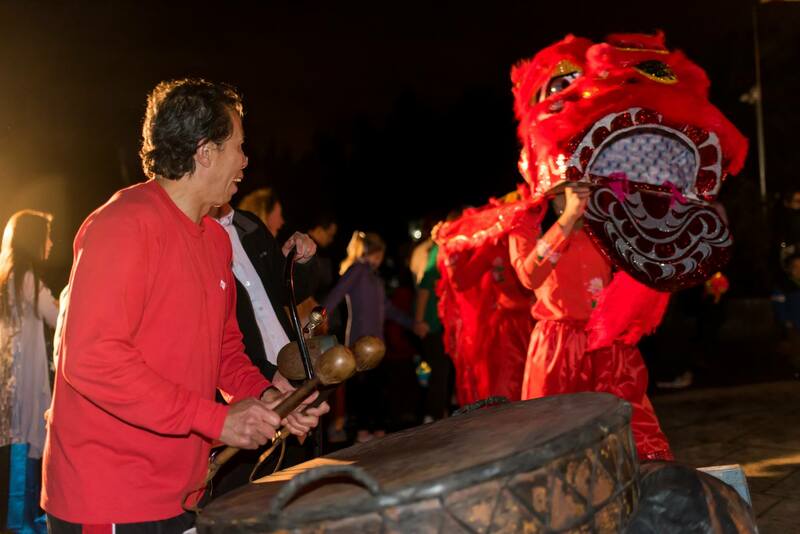 Lion dance and drumming during Trung Thu. Photo courtesy of Chùa Phước Huệ Vietnamese Buddhist Meditation and Cultural Center. Past funding has supported a variety of projects including, but not limited to, arts components of community festivals; arts workshops or demonstrations; dance, theater, and music performances and workshops; film festivals; youth-focused arts programming; arts-focused cultural and historical events; visual art exhibits; and literary events. Funded events must take place between Jan. 1 – Dec. 31, 2019. 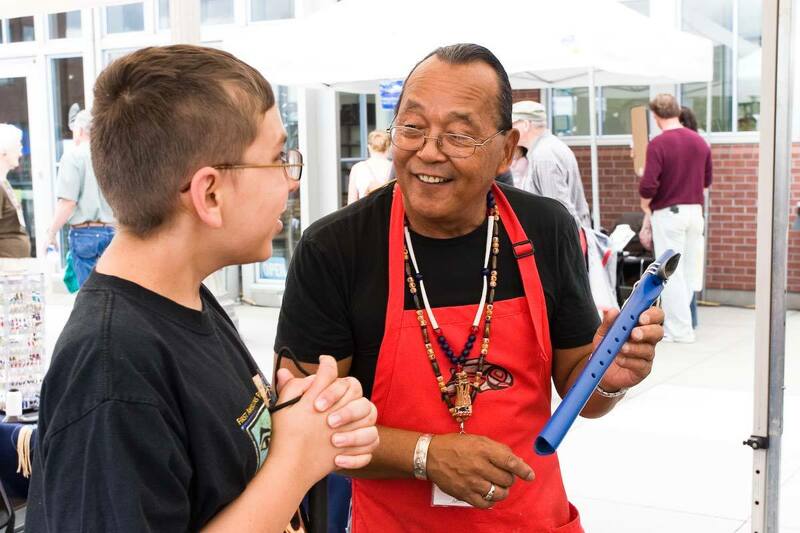 Eligibility extends to private non-profit agencies with a 501(c) designation; organized groups of community volunteers, such as a business district or neighborhood council with an advisory body, business license and organizational bank account; educational institutions or for-profit businesses wishing to produce not-for-profit arts functions; and federally-recognized tribes or Native non-profits. Applicants are required to have offices within Tacoma or, if they have no office, a majority of the applicant’s activities must take place within Tacoma city limits. Other eligibility requirements apply. See guidelines for complete terms. Louder Than A Bomb poetry panel discussion with writers, community members and organizers Photo courtesy of Write253. Funding for Arts Projects is determined through a competitive application process. Actual contract amounts will be based upon availability of funds and the review of each application as measured against evaluation criteria detailed in the guidelines. Applicants are encouraged to attend a free workshop, which explains and addresses questions about the application and funding process. The workshop will be held Oct. 4, 2018, from 5:30 – 7 p.m., in the Tacoma Municipal Building, 747 Market Street, 2nd floor, room 248. Check out the Arts Projects guidelines and application instructions. Photo by Jason Farris, Frankly Cinematics, LLC. 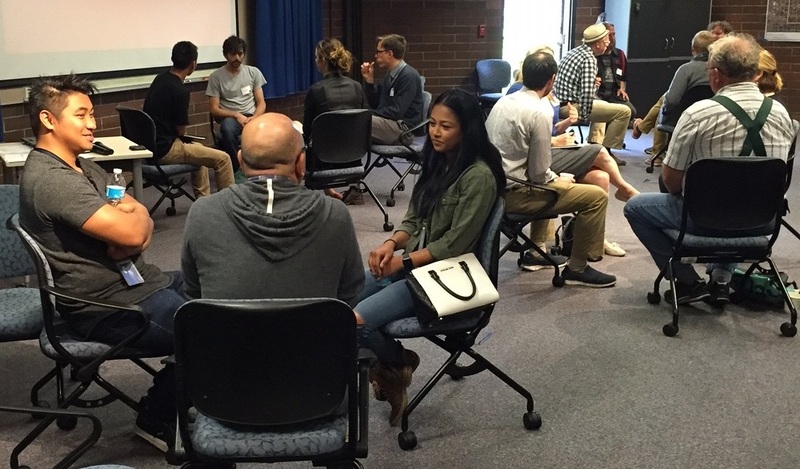 The Tacoma Arts Commission and the Arts & Culture Coalition of Pierce County invite the public to gather for the second Creative Community Conversations event on Wednesday, May 30, 5:30-7:30 p.m. at the Asia Pacific Cultural Center, 4851 S. Tacoma Way in Tacoma. 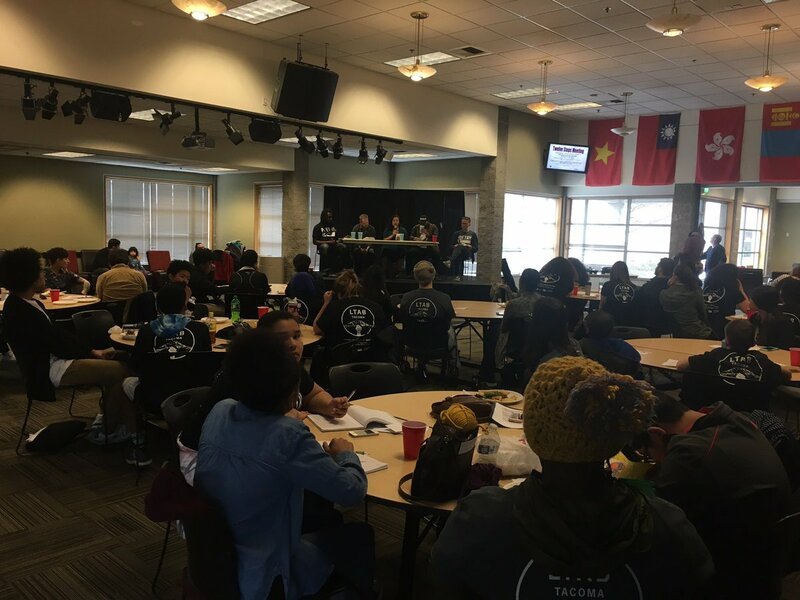 This free public event will include facilitated break-out sessions and discussions focused on “Tacoma Creates” – an initiative to expand arts, heritage, science and cultural experiences throughout Tacoma, reduce barriers to access, and increase offerings for youth after school and in the summer. The event will also include an overview from the Jan. 24 Creative Community Conversations event. Community input and insights from this event will help inform the development of the “Tacoma Creates” initiative. This event is part of a continued effort to nurture an authentic and vibrant arts community reflective of the voices and talents throughout Tacoma. When: Wednesday, May 30, 2018, 5:30-7:30 p.m. This event is hosted by Asia Pacific Cultural Center. Supervised children are welcome and light refreshments will be served. More information can be found on the event’s Facebook page. The Tacoma Arts Commission invites all artists, makers, arts and culture organizations, and other creatives to gather for a Creative Community Conversations event on Wednesday, Jan. 24, 6 p.m. at SKY Creative, 1120 Pacific Ave. in Tacoma. 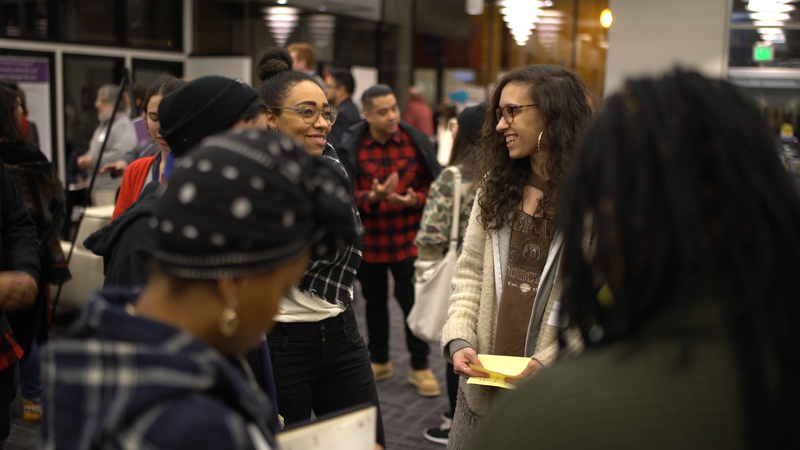 This free public event will include facilitated break-out sessions and discussions designed to encourage participants to “dream big” while identifying gaps and barriers that could be mitigated by an infusion of resources. Community input and insights from this event will help inform the City of Tacoma’s Office of Arts & Cultural Vitality and the Tacoma Arts Commission’s planning and efforts to advance Tacoma as a community that celebrates and supports the rich contributions of creatives from every sector, neighborhood, age and ethnicity. This event is part of continued efforts to nurture an authentic and vibrant arts community reflective of the voices and talents throughout Tacoma. When: Wednesday, January 24, 2018, 6 p.m. This event, hosted by SKY Creative, is presented by the Tacoma Arts Commission in partnership with Spaceworks Tacoma and the Arts & Culture Coalition of Pierce County. Supervised children are welcome and light refreshments will be served. 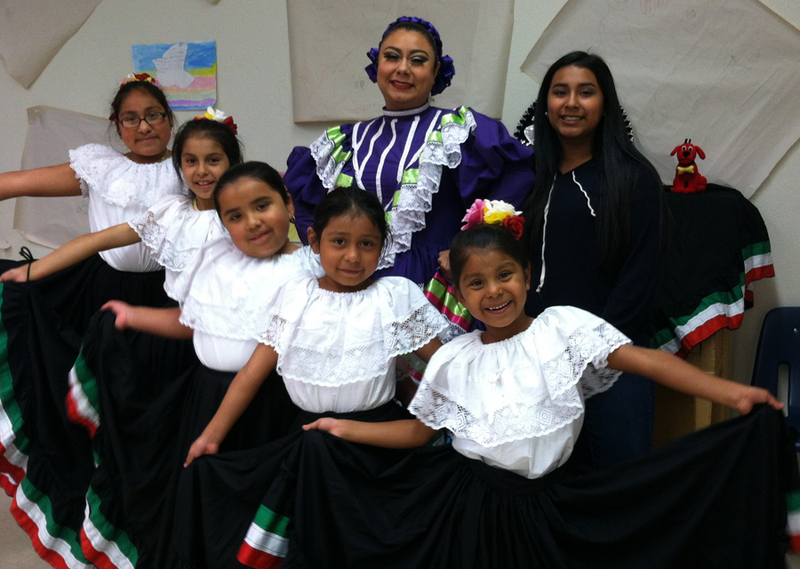 Broadway Center for the Performing Arts’ ballet folklorico troupe at Roosevelt Elementary. The Tacoma Arts Commission recently awarded $50,000 in Arts Projects funding to 19 Tacoma organizations in support of 2018 public outreach projects in the fields of dance, craft, music, visual, literary, cross-disciplinary, and cultural arts. The awards range in value from $1,250 to $5,000. Du Ly drums and the Red Lion dances during Trung Thu 2017. Photo courtesy of Chùa Phước Huệ Vietnamese Buddhist Meditation and Cultural Center. 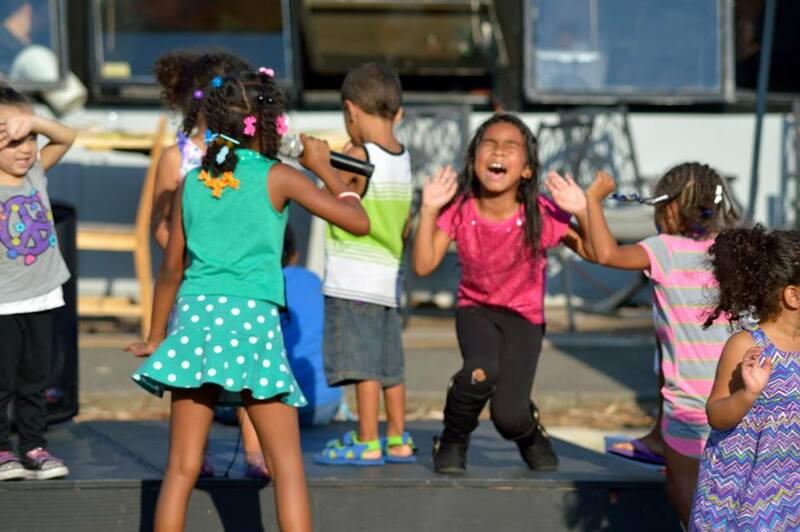 Funded projects include the production of six diverse cultural and arts festivals, a historical arts and crafts demonstration series, cultural education programming, two dance workshop series and performances, a program using arts and cultural practice to address food justice, four music performance series, poetry writing and performance workshops for youth, and community engagement events. Funded organizations include Asia Pacific Cultural Center, Barefoot Collective, Broadway Center for the Performing Arts, Centro Latino, Chùa Phước Huệ’s Volunteer Team, Fort Nisqually Foundation, Groundswell Arts Collective, Hilltop Business Association, King’s Bookstore, Latinx Unidos of the South Sound, Metropolitan Glass, Northwest Repertory Singers, Orchestral Recital Series of Tacoma, Puyallup Tribe of Indians, Tacoma Concert Band, Tacoma Refugee Choir, Tacoma Urban Performing Arts Center, Washington State Historical Society, and Write253. In the Spirit Northwest Native Art Market at Washington State History Museum. 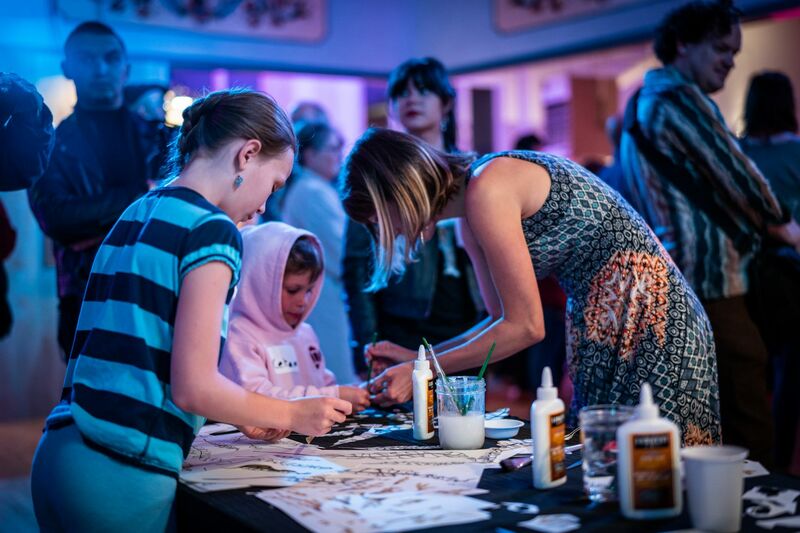 The Arts Projects Funding Program supports high quality community projects with a strong focus on arts that are accessible and affordable to the public. Arts Projects is one of three funding programs administered by the Tacoma Arts Commission. For a complete listing of funding programs and information about the Tacoma Arts Commission, visit cityoftacoma.org/funding. Hilltop Fashion Show at the Hilltop Street Fair. Photo courtesy of Hilltop Business Association. Will your organization or group be producing publicly accessible arts programming within Tacoma city limits in 2018? 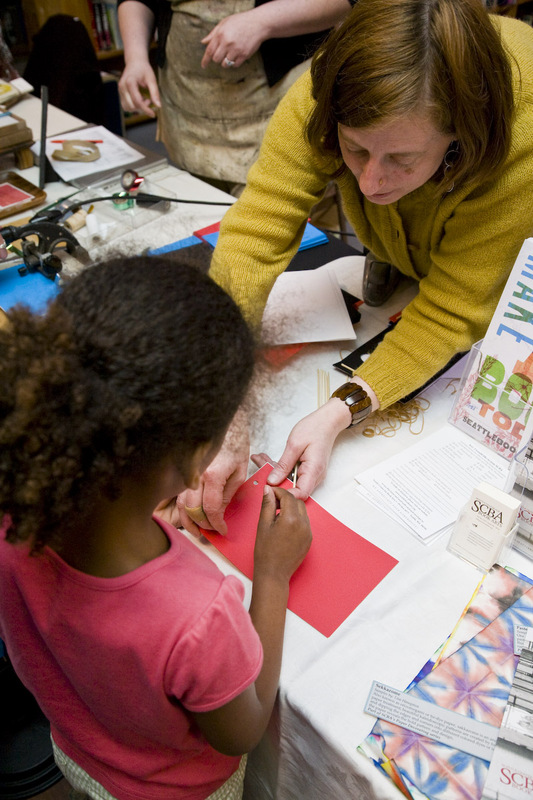 If so, you might want to take a look at our Arts Projects funding program. Arts Projects funding ranges from $1,000 to $5,000, and supports community projects that focus on the arts. Applications are due by Monday, November 6, 11:59 pm. 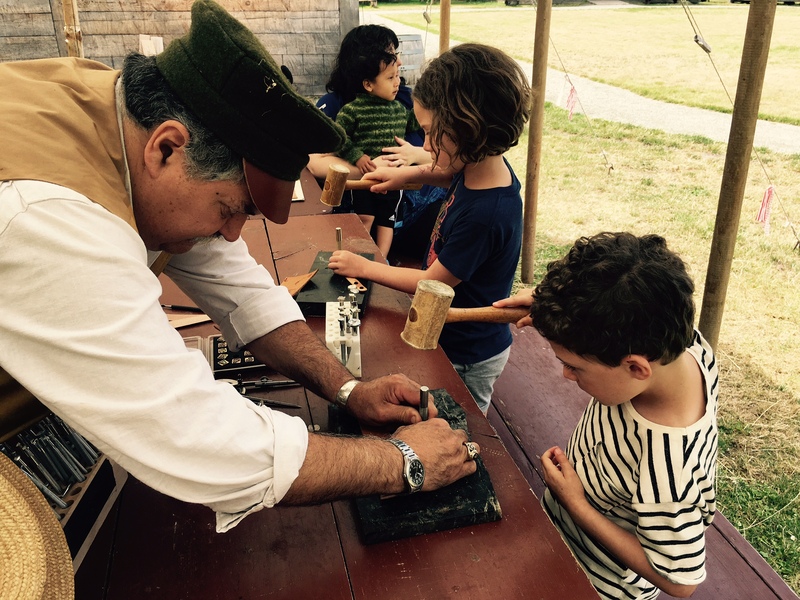 Larry Miller working with Fort Nisqually visitors at a Crafts of the Past event. 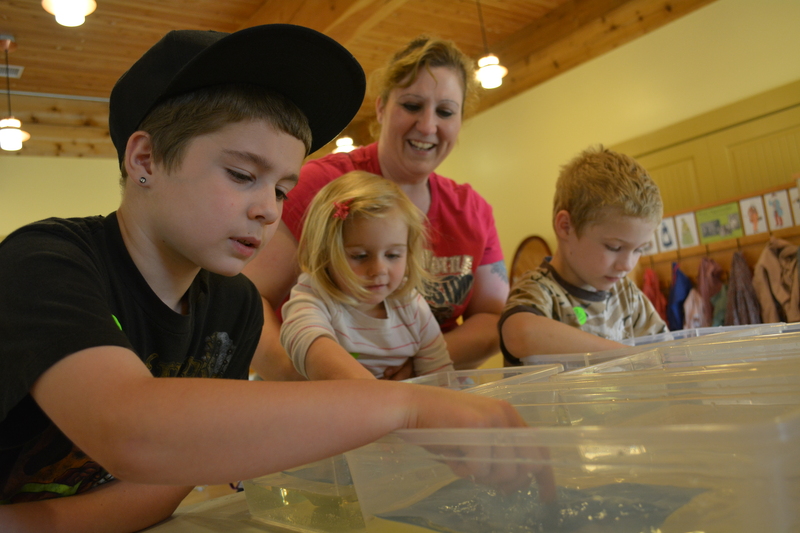 Photo courtesy of Fort Nisqually Foundation. Past funding has supported a variety of projects including, but not limited to, arts components of community festivals; arts workshops or demonstrations; dance, theater, and music performances and workshops; film festivals; youth-focused arts programming; arts-focused cultural and historical events; visual art exhibits; and literary events. Funded events must take place between Jan. 1 – Dec. 31, 2018. 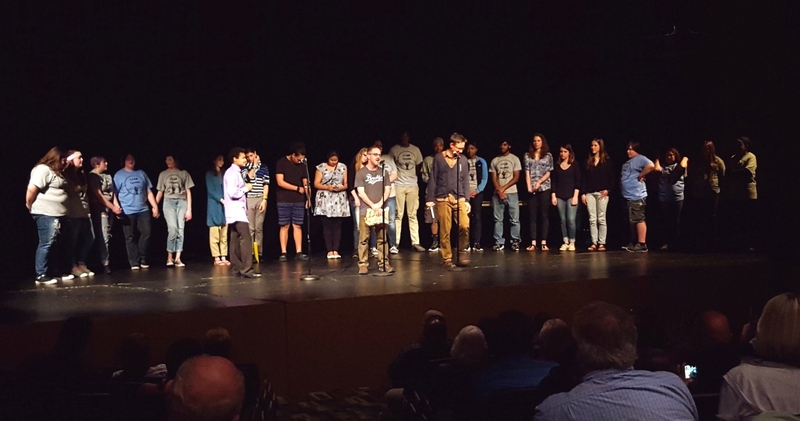 Louder Than A Bomb youth poets with Washington State Poet Laureate Tod Marshall. Photo courtesy of Write253. Applicants are encouraged to attend a free workshop, which explains and addresses questions about the application and funding process. The workshop will be held Oct. 12, 2017, from noon – 1:30 p.m., in Tacoma Municipal Building, 747 Market Street, 2nd floor, room 248. 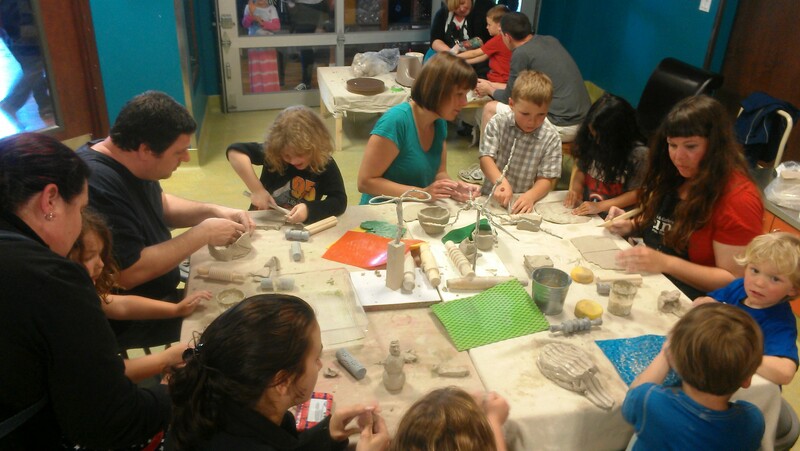 Language of Clay family art workshop with SPUN at Children’s Museum of Tacoma. Photo courtesy of Children’s Museum of Tacoma. Will your organization or group be producing publicly accessible arts programming within Tacoma city limits in 2017? If so, you might want to take a look at our Arts Projects funding program. Arts Projects funding ranges from $1,000 to $5,000, and supports community projects that focus on the arts. Applications are due by Monday, November 7, 11:59 pm! 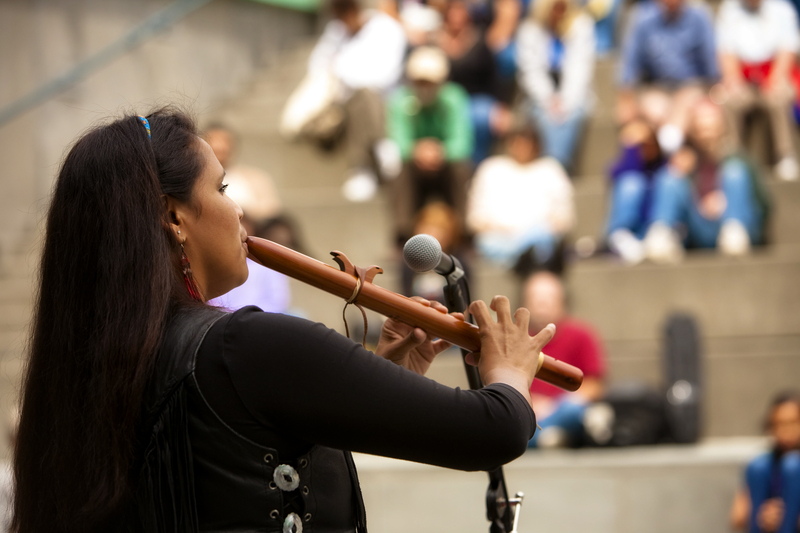 Flutist Rona Yellow Robe (Chippewa Cree) plays flute and sings at the In the Spirit festival. Photo courtesy of Washington State Historical Society. Past funding has supported a variety of projects including, but not limited to, arts components of neighborhood festivals; arts workshops or demonstrations; dance, theater, and music performances; youth-focused arts programming; arts-focused cultural and historical events; visual art exhibits; and literary events. Funded events must take place between Jan. 1 – Dec. 31, 2017. Fort Nisqually visitors learning how to make a cyanotype photo print during Crafts of the Past. Photo courtesy of Fort Nisqually Foundation. Eligibility extends to private non-profit agencies with a 501(c) designation; organized groups of community volunteers, such as a business district or neighborhood council with an advisory body, business license and organizational bank account; and educational institutions or for-profit businesses wishing to produce not-for-profit arts functions. Applicants are required to have offices within Tacoma or, if they have no office, a majority of the applicant’s activities must take place within Tacoma city limits. Other eligibility requirements apply. See guidelines for complete terms. The Hilltop Street Fair showcases arts and culture at Peoples Park. The City of Tacoma is now accepting Arts Projects funding applications from eligible organizations producing publicly accessible arts programming within Tacoma city limits in 2017. Arts Projects funding ranges from $1,000 to $5,000, and supports community projects that focus on the arts. Applications must be submitted online by 11:59 p.m. on Nov. 7, 2016. Wayzgoose Tacoma festival at King’s Books. Photo by Aaron Locke. Organizations interested in applying for Arts Projects funding can find out about past funded projects, download the guidelines, and access the online application here. Applicants are encouraged to attend a free workshop, which explains and addresses questions about the application and funding process. The workshop will be held Oct. 13, 2016, from noon – 1:30 p.m., in Tacoma Municipal Building, 747 Market Street, 9th floor, Visibility Center conference room.